You may have noticed that I’m interested in cars. Well, I’m also interested in aircraft as well, and they are great things to photograph creatively, both in the air and on the ground. 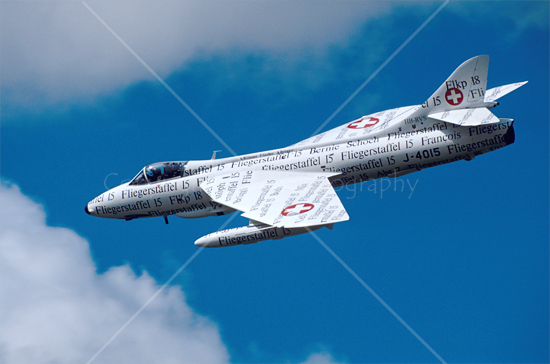 This privately owned Hawker Hunter of “Fliegerstaffel 15” was at an airshow at Kemble in the Cotswolds. I used a long lens (ca. 600mm equivalent) to get the aircraft nice and large in the frame, and panned as it flew past. I was lucky with the shape of the clouds in the background, as they formed an arrow going from right to left. 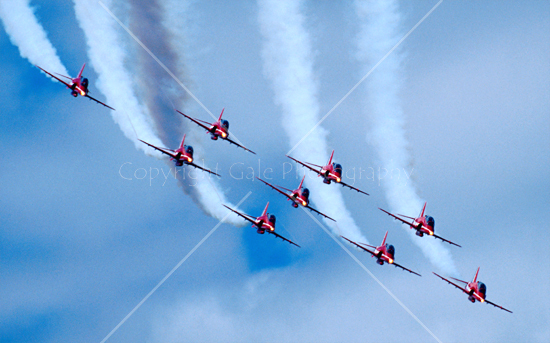 On the subject of arrows, here’s a shot of the Hawks of the RAF’s famous Red Arrows aerobatic display team. Their precision flying is a joy, and this near head-on shot of all nine aircraft has a good diagonal shape to it, from top left to bottom right. The red aircraft contrast well with the blue sky. Did I mention precision? Here’s a perfect example of just how good they are. The aircraft are perfectly placed relative to each other, and look like they’ve been cloned there – they haven’t! Once again I’ve used a long lens and panned as they flew past. As I said, aircraft on the ground also make good subjects. 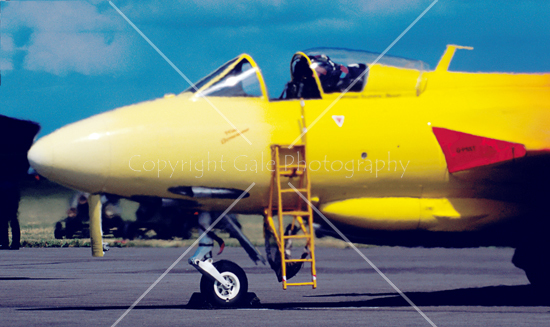 This is another privately owned Hawker Hunter, “Miss Demeanour”. It’s got a fabulous paint job, and I saw that another jet was running its engine in front of it. The heat from the jet’s exhaust gave good “wobble” to the air, so the fuselage of the Hunter went all blurry. The nose wheel was too low to be affected so it’s still sharp. Long lenses can be useful to capture details of individual aircraft on the ground. I loved the very aggressive nose art on this 2nd World War Curtiss C-46 Commando transport plane at an air museum in the USA. The lens has compressed the perspective, so it’s not clear any more that it’s an aircraft. This image is a further extension of that idea. It’s a perspex canopy on a North American B-25 Mitchell bomber being used as a filming plane in the USA. I chose the right time of day, and made sure that the very bright sun was placed behind the canopy. 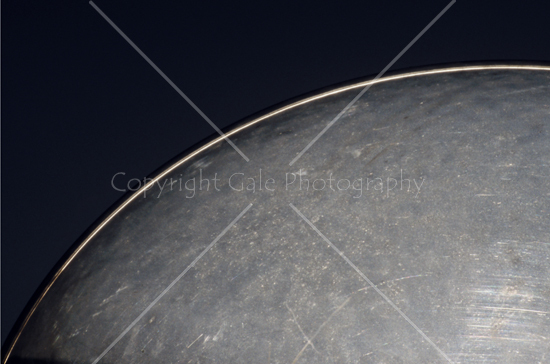 It’s made for a strong, simple image with the outline highlit, and the scratches on the canopy adding interest. 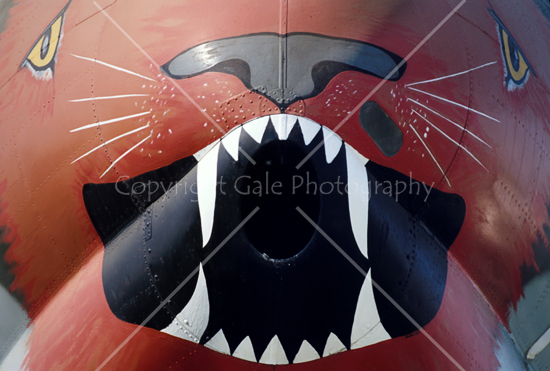 So, get out there and get some great images of aircraft! There’s still lots airshows this year. Come and meet us at Coleshill Food Festival and Open Day on September 11th. We’re in The Granary as part of the Arts & Craft displays. This entry was posted on August 26, 2010 at 3:01 pm and is filed under Creative Photography, Equipment tips, Photo Tips. You can subscribe via RSS 2.0 feed to this post's comments.